In December 2012, the City of San Jose installed the first monument in celebration of the history of the Newhall neighborhood. Look for it in Newhall Park. There are many more stories to tell, from the boxing arena and distillery that once stood down Newhall St (on the site of the Best Western motel), to the college students who once took a dip in Cook's Pond, and all the way back to the arrest of a corrupt, high-rolling sheriff just around the corner. 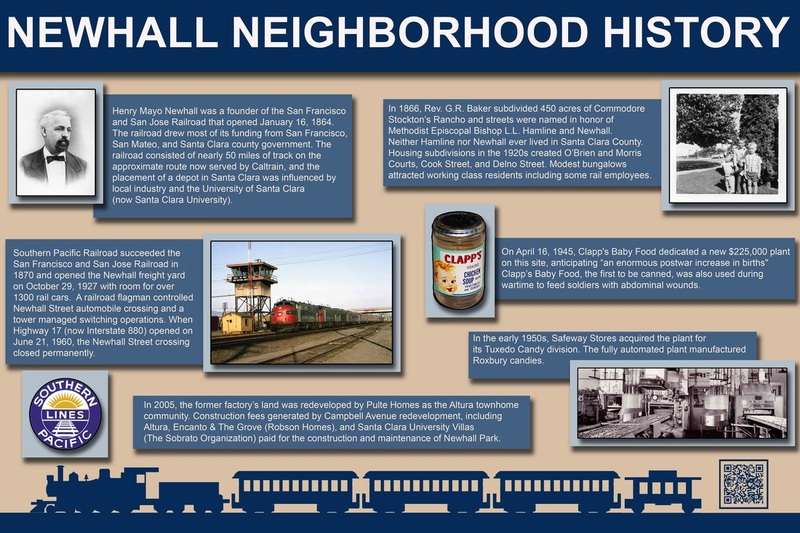 We need your help to bring our neighborhood's history alive! If you are a history buff, a history student, know a future Eagle Scout looking for a project, or have a general love of learning, email info@newhallna.org to get involved! You can invest as much or as little time as you can afford to spend. Thanks and enjoy!